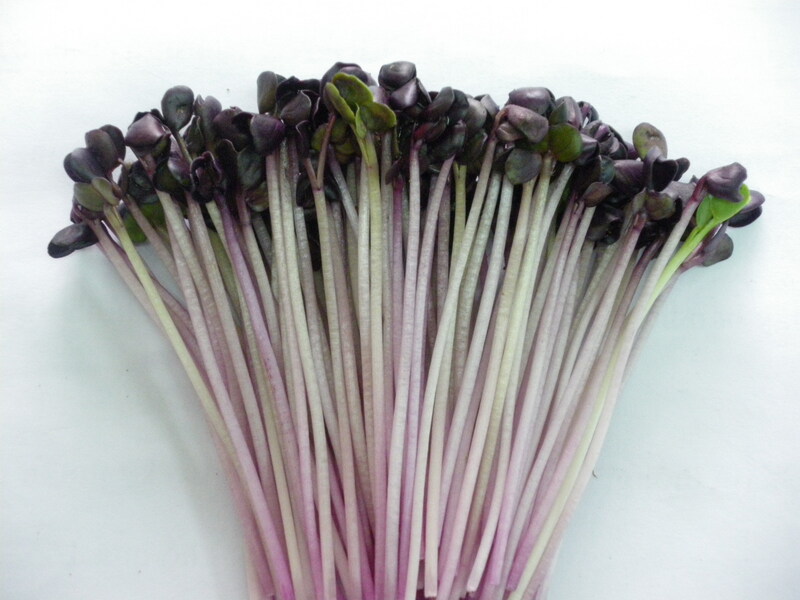 Large stem, green color and purple color, fragrant, spicy taste, crisp, sweet. mash seed from 3-4 hours, incubated seed 12 hours in temperature 25-300C. Put pot for sprouting in the cool temperature, no exposure sunshine and rain. The pot for sprouting size 25x32 cm grow 25-30gr seed. First harvest at 6-7 days after sowing. Yield 250-300gr sprouts per pot for sprouting.